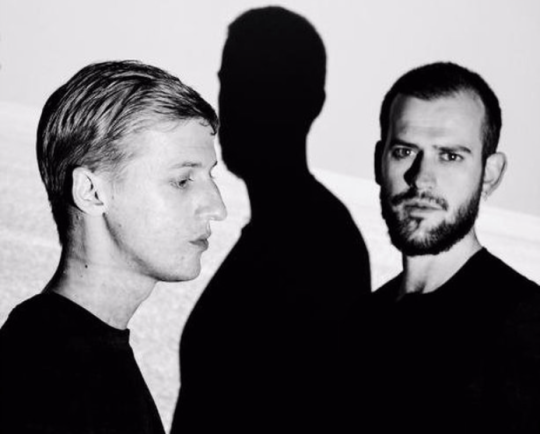 A Dead Forest Index are a Sargent House band who fit comfortably within the realm of label-mates Chelsea Wolfe and Emma Ruth Rundle, but are set apart by their aptitude for structural diversity. An orchestral approach allows the duo to stuff sonic mayhem into massive open spaces and capitalize on the otherwise limiting instrumentation with which they perform. The result is roomy, near-spiritual indie rock performed with an interconnectedness that reflects the relationship the brothers themselves share. 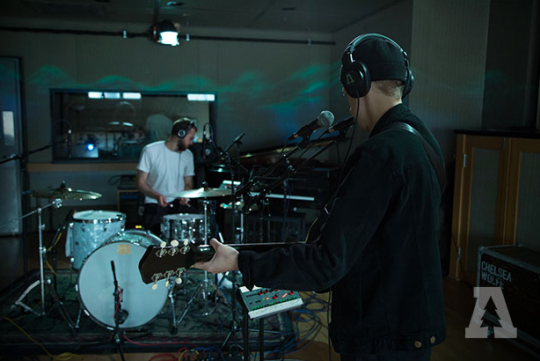 Watch and hear the duo perform tracks HERE on Audiotree Live. Tonight we meet artist Matthew Couper. A painter from New Zealand now based in Las Vegas with his wife, also an artist Joe Russ. I had been looking forward to meeting Matthew as we have some very close friends in common, as well as being an admirer of his vivid and surrealistic Spanish ‘Ex Voto’ influenced paintings, archaic and full of symbolism. I’m overwhelmed when we do meet in the garden of the venue as he hands me something in the form of a painting. I’m taken aback in this moment to be receiving a very special gift, a portrait in oils of my wife Gemma & I in deep turquoise and blues still drying. I can’t believe how incredible this composition is and stand speechless. This ex-voto was commissioned to Matthew through my Brother Adam and our friend and photographer Max Reeves as a wedding gift. Gemma and I had just been married days before the start of tour on April 21st at Sargent House, Echo Park, Los Angeles. Our debut album ‘In All That Drifts From Summit Down’ is released today. I’m backstage pacing with watered down red wine when Ben Chisholm informs me that this is the venue where Kurt Cobain famously stage dived into the audience during ‘Love Buzz’ and hits that security guard in the head with his guitar. We grew up watching that clip over and over, so we freak out a little and send word out to our other Nirvana historian friends we grew up with to let them know, then we go on. A memorable night in Dallas. ‘Dragged Out’ from Chelsea Wolfe’s ‘Abyss’ is an extraordinary work. Drummer Jess Gowrie counts in and what follows is perfect noise, deep and controlled amidst huge snare hits. The subtlety of Chelsea’s vocal delivery so complete and beautiful, the audience sways slowly, transfixed as Adam & I each performance. We wake up to such a heat in McAllen, we hover outside the bus figuring out where to find coffee. Our sound engineer Randall Dunn has sent word that we have to check out this town, go for a wander. What unfolds is an almost delirious slow walk across town, and it’s interesting and unlike any place we’ve been. We stop in at a used furniture store and Randall spots a huge concert bass drum, its 36″ and a Ludwig. An amazing find for him being a collector of vintage percussion and bass drums. We carry the drum back to the bus in awe and have our photograph taken with it. Randall is a master sound engineer and producer, but also musician and multi-instrumentalist, and has an inspired idea to incorporate this drum into our set up on a ‘slight tilt’ right up by the floor tom. It’s a thunderous sound with mallets, and rumbles through this great Art Deco ‘Cine El Ray’. It will stay in the set up for the theatre shows. We’ve always wanted to come to Memphis, for me it’s always with Jeff in mind. He changed my life dramatically growing up in New Zealand, I heard Grace and that was it. Jeff Buckley drowned in Wolf River Harbor May 29th, 1997. This is a pilgrimage. I have a view of this harbor from the bus as we approach downtown, but our venue is some way away so I start drawing a map of how to find our way. We pull up at the venue, Adam & I put on black suits and prepare for the walk, until we realize it’s too far, we’d be walking all day. Ben Chisholm calls us a cab. I’d done some research about the actual site and how the river looked in those days, it would have been different, more wild. You can get a sense of the spot where Jeff walked in. In the 90’s it used to be part of the river bank we’re people would hang out, smoke, drink, listen to music. At that time, the same as now its thick mud and broken glass. I imagined it to be more overgrown and secluded, it feels distant from anything although so close to the overpass bridge, with the open air amphitheater directly across. It’s un-swimmable, but yet still and silent. We venture right down to the water and sit for as long as we can. It’s unthinkable to swim. You can see the shifting and changing currents of that water, and feel the trudge of endless mud. We soak in the tragedy and mystery of this heavy river. It’s hard to write one dedicated passage to New York. All unfolded in an inspiring way; at the Music Hall Of Williamsburg and the Bowery Ballroom. A day off in Brooklyn discovering bookshops, bumping into Randall doing the same, being transfixed by the Anohni ‘Hopelessness’ posters everywhere, having the good fortune of meeting the great guitarist Norman Westberg, who saves me by repairing a broken drum. Drifting through East Village and finding Indian ‘Ghungroo Bells’ we’d been looking for. Onward to Lower Manhattan, meeting Jennifer Tull Westberg maker of our wedding rings, photographers Lauren Withrow and Javier Villegas, with them heading to a bar on Mott St before bus call in the early hours. Our start in Chicago is early, arriving outside Audiotree Studios in the morning for a live session at noon. We set up and shift into performance mode in the moment and the sound of the room is acoustic and beautiful. We perform five tracks from ‘In All That Drifts From Summit Down’. After this it’s straight to Thalia Hall for tonight’s show. Halfsleeper was the first Chelsea Wolfe song I heard back in 2012. It’s a masterpiece. Like a folk aria that reaches a cyclic high bellowed chorus that breathes deep. It flows. It’s incredibly unique to Chelsea, and it’s so beautiful to hear this song close the set every night. We’ve been looking forward to Portland. We finally cross paths with Savages, who are playing the Wonder Ballroom while we play Revolution Hall. I’ll see Gemma, it’s been five weeks since we left LA in different directions. We carve out a day off together and drift around East Burnside Street. We walk by a garage sale and buy an antique looking notebook (that I’m now writing in) by chance opposite an amazing drum shop – Revival Drums. We meet the very friendly owners and I’m lucky to buy some vintage mallets for tonight’s show. Everything is timed to perfection for the evening; we will get to see each other play. Gemma gets seated in the hall as we open the set. I’m nervous and one of my (new) mallet’s somehow flies out of my hand on a cymbal hit during ‘Tide Walks’ to an incredibly silent audience. I gasp and redeem things split second. That never happens! No time to be upset. Post show with wine Adam, Gemma and I jump in a cab with our good friend Jeff Owens and head to the Wonder Ballroom. Savages support ‘Head Wound City’ are midway through their set and it’s immense, it’s packed. We meet Cody Votolato and Nick Zinner from the band and make our way to watch Savages from side of stage. Every nuance and sound from start to finish is magic, every song devastating. Tonight is unspeakably good. A special night as we meet our good friend Angus Tarnawsky, a prolific musician and peerless drummer. We used to play shows together back in Melbourne when we were both starting out, and we’ve both been travelling since. We have some drinks back stage and hear about his recent move to Vancouver from New York. Tonight’s show is beautiful, a highlight of tour, every detail colorful and distinct. When Adam’s voice fills an echo chamber like hall, it sets the show. You move differently. It opens up. We’re performing two nights at the Chapel, in the Mission district. It’s really interesting to be here in the final phase of the tour, I’ve loved being on the road. All is still gathering great momentum and energy towards the final dates; everything is harmonious, joyous, always hilarious. Adam and I have become known by the band and crew to take off on unrealistically long walks for good coffee, and today we head off in the direction of the famous City Lights Bookstore. Mission to Chinatown sounds easy, but we end up walking too many miles on show day. It’s all worth while when we spend an hour at City Lights. I used to work in a bookshop, and this is literally the best bookshop I’ve ever been to. It’s hard to leave; we come away with mostly Lorca. ‘Hypnos’ by Chelsea Wolfe from Hypnos / Flame is magic. Ben Chisholm’s intricate piano, Jess Gowrie’s cyclic rhythm, Bryan Tulao’s ebow drone that raises the chorus. It’s calm and hypnotic. Chelsea’s delicate lyrical falsetto is astonishing. Andrea Calderon plays violin unlike anyone I’ve ever heard. Her lines glide and weave around every note. It’s an honour to have her join us on stage for the last shows of tour in LA; two sold out nights at the Teragram Ballroom. 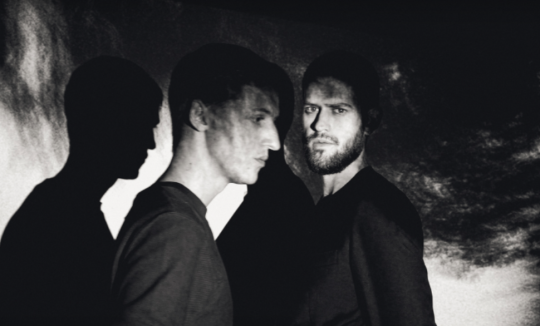 5/5 Album Review // "In All That Drifts From Summit Down"
I first encountered A Dead Forest Index in London last November, while they were supporting Chelsea Wolfe on her ‘Abyss’ tour. 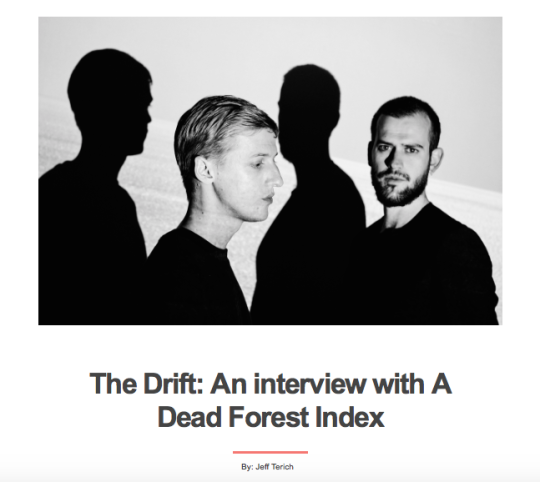 Having never heard of them before I was intrigued to hear what a band auspiciously named ‘A Dead Forest Index’ had to offer (half expecting a Dillinger style shout fest). My fears were allayed when, without any acknowledgment to the crowd, brothers Adam and Sam Sherry took the stage. 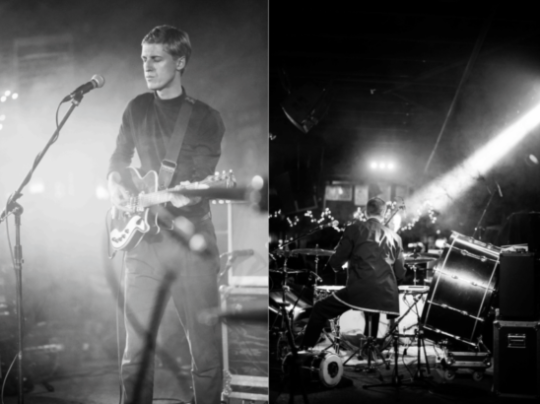 They arranged themselves facing each other….simply a drum kit, a guitar and two voices. Over the next 40 mins the duo ran through their set with an incredible exhibition of songcraft. Organic songs that ebbed and flowed seamlessly...through intimate vocal chants to drone like arabesque soundscapes, whilst being solidly underpinned by the most amazing vocal harmonies and catchy hooks. There was a strong sense of quiet confidence and theatre to their show that left me (and pretty much the whole crowd) transfixed…….simply put, they had another fan. Upon returning from the gig I was disappointed to find very little in the way of recorded music from ADFI. This led me to pretty much forget about them, that was until I saw a teaser for their latest album come up on the Sargent House (their label) news feed. ‘In All That Drifts From Summit Down’ is a beautiful and evocative album that ‘unveils’ itself to you more and more with every listen. At first glance it comes across as an indie ‘art’ album, with dreamlike vocals and jangly guitars….yet brooding underneath is an amazing sense of space and grandeur. Just like the sprawling New Zealand landscape the brothers attribute much of their influence to. In recent interviews, guitarist Adam cites the ‘spark’ for the album being a painting called ‘Spirit Of The Summit’ by Frederick Leighton; which has been described as... ‘symbolising the purity of the human spirit, refined of everything gross and material, reaching out beyond itself for eternity’. The image also imbues an innate sense of longing and isolation: a single female figure, looking unsure and wistfully toward the sky, perched atop a mountain. This imagery couldn’t be more apt when listening to ‘In all that drifts…’. Songs such as ‘Summit Down’ exhibit this sense of coldness and passing of time beautifully...especially with the haunting repetition of the words ‘I hold all this time…’, that eventually descend into a distorted abyss, amidst a wash of tumbling drums and reverb drenched harmonies. You can tell that the influences for the lyrics in this album are far reaching into art, poetry as well as hinting at a deeper, more intimate and personal backdrop for ADFI. This is no more evident than in the closing track ‘Homage Old’... with the impassioned singing of ‘Your eyes in my eyes, your eyes unending’.......this track is the kind you can just lie back and get washed away with, a beautiful closer. Aside from the washy wistfulness element of this album, there are some actually very well written ‘pop’ songs. The incredibly powerful (and catchy) ‘Myth Retraced’ being a standout. Driving understated verses crescendo into a powerful ‘sing a long’ chorus that will leave your hairs standing on end. As well as the stately ‘No Paths’, there is no lack of well written and addictive ‘songs’ to get your teeth stuck in to. You can definitely tell that touring with the likes of Chelsea Wolfe and collaborating with Savages’ Gemma Thomson has rubbed off. The more soundscape-esque songs, such as the brilliantly traumatic ‘Swims Out’, help break up the album to create a greater sense of occasion and ‘journey’ to the experience. ‘In all that drifts from summit down’ is the kind of album you’ll want to throw on and get lost to, start to finish...it almost seems blasphemous or rude listening to any part individually or out of context. It is in its essence a whole, a painting to be enjoyed as the sum of it’s parts…to stand back and admire. It’s been a long time since i’ve listened to anything as evocative and powerful as this album, probably since Chelsea Wolfe’s ‘Abyss’ was released last year. Buy it, support these guys and most of all give their music some time to willingly burrow its way into your subconscious. Opening for Chelsea Wolfe, an interesting band called A Dead Forest Index surprised me with their melancholic soundscapes, I actually could even use the term landscape in their case since their music was extremely cinematic, evoking bleak landscapes, with powerful drum beats and minimalist guitar effects. The music was vast but only performed by a duo, two brothers, Adam Sherry on vocals and guitar and Sam Sherry on drums. They started by lugubrious compositions with a gothic vibe and I first thought they were English, and I was not completely wrong as they base themselves between Melbourne and London but are originally from New Zealand. Playing under a very dim light, their set was a series of poetic multi-inspired compositions, rich and diverse as they have drawn their influences from artists as diverse as ‘Indian and Andalusian origin, Romanian lăutari troupe Taraf de Haidouks’ , William Blake, The Velvet Underground with Nico, Scott Walker, Swans with Jarboe, and Antony and the Johnsons. They seemed to prepare themselves for a battle a few times, slowly growing an intensity rarely heard in live music, building a heavy atmosphere that could land on your head and shoulders like the world’s infinite sadness. Adam Sherry’s ethereal, almost androgynous, hymnal-like vocals with sparse instrumentation was installing a very morose tone, and as I was watching a guy next to me wearing a Joy Division t-shirt, it could have been Ian Curtis all over again, but it wasn’t. Some of their songs turned into real bombast of cacophonic noise, like a hard and difficult labor giving birth to chaos. 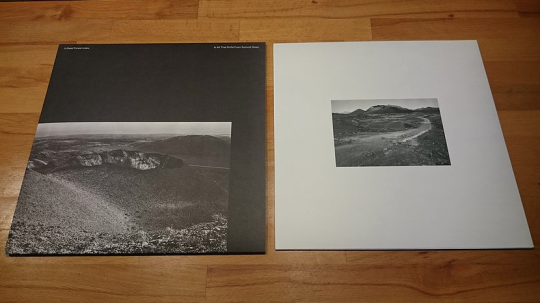 After a couple of EPs, ‘Antique’, then ‘Cast of Lines’, released on Savages’ Jehnny Beth’s Pop Noire label, the duo has released a 13-track album, ‘In All That Drifts From Summit Down’, described as imagining ‘natural phenomena as poetic metaphor for the human condition’. 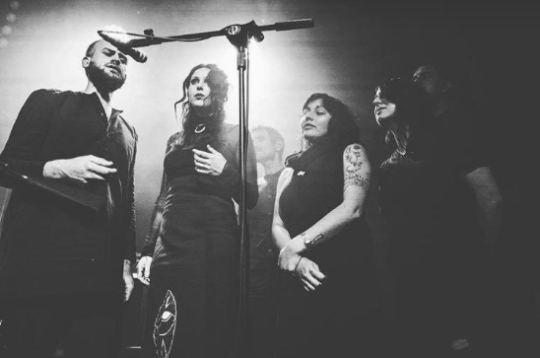 It was the opposite of an uplift and for this reason, the perfect opening for Chelsea Wolfe’s iciness, and because of the unclassifiable nature of their music, they may well represent a new direction of the indie music. 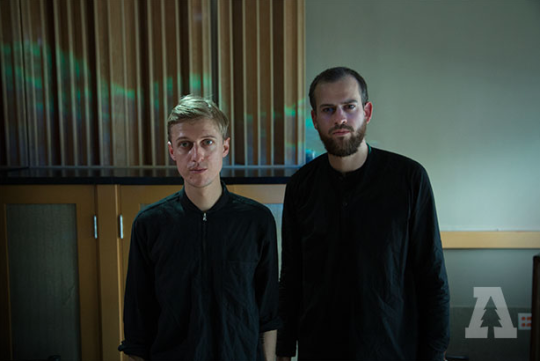 Using only a very minimal palette of sounds, brothers Adam and Sam Sherry – who make up the entirety of A Dead Forest Index – manage to create a vast, perfectly orchestrated expanse of sound. Employing mostly only simple motifs on guitar, piano and drums, with Adam’s androgynous voice laid gently over the top, much of In All That Drifts from Summit Down envelops the listener in a sound world so dreamy that it could transport your ears to a soft and relaxed state even if listened to on a hectic commute or in a crowded office. The wash of reverb which soaks every sound does a lot to aid the immersive feeling of this album, but the feature which takes every track above and beyond almost everything else existing in the ‘indie’ circuit at the moment is the beauty in the vocals. Lush, choral vocal arrangements permeate all of the many highlights of this album. Adam’s confident yet airy melodies and harmonies are layered gradually over one another, creating a rich and warm texture to get completely lost in. On ‘Cast of Lines’, the looping choir of Adams build their intertwined tones to such a beautiful zenith that it is hard to do anything but let yourself be carried away softly on their feather-light pillow of vocal luxury. Tracks like ‘Tide Walks’ and ‘No Paths’ develop from humble beginnings into multi-layered masterworks due solely to the gradual expanding in scope of Adam’s voice. ‘Silver Thread of Sun’ is another example of this technique perfected, but really it is a feature which is a present strength on every track. None of this takes away from the importance of Sam Sherry’s input here. The subtle piano lines underpin much of the songwriting, and the drums match the feeling of every track. When things do get a little less angelic in the middle of the album, with the slightly unnerving ‘Ringing Sidereal’, the short, uncomforting piano interlude ‘Swims Out’ and the more driving ‘In Greyness the Water’, the drum-work is what brings much of the discomfort to the fore, and a faint discord filters even through the swathes of vocals. ‘Myth Retraced’ is another more direct number and could certainly carry some clout amongst the singles released by bigger names that A Dead Forest Index should be considered peers with. Scattered throughout In All That Drifts from Summit Down, there are moods comparable to a more pensive Fleet Foxes, or a more expansive, shoegazing Chelsea Wolfe (with whom the band are currently touring), but in truth, A Dead Forest Index have carved a sound which is entirely their own and which deserves to bring them widespread acclaim. There are edgy, unexpected notes in the harmonic changes to challenge the intelligent listener, without ever sacrificing what is a near perfect, encompassing atmosphere. A Dead Forest Index have not forced anything here, seeming like they don’t feel the need to prove themselves and are simply releasing an organic and beautiful collection of songs straight from their hearts. This could take indie music to the next level. A Dead Forest Index newest album “In All That Drifts From Summit Down” is officially out today via Sargent House. Available on all digital and streaming platforms. Listen here now. 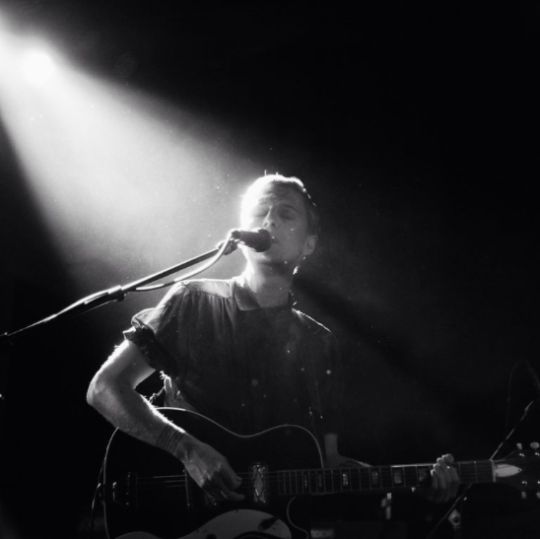 A Dead Forest Index are now on tour with Chelsea Wolfe. 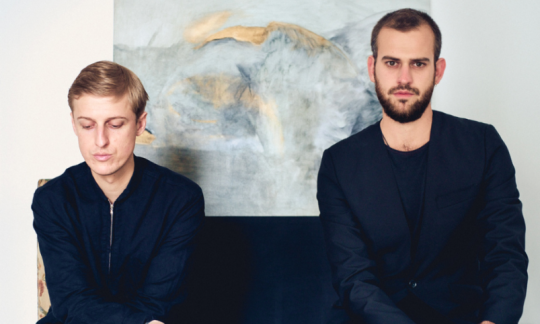 A Dead Forest Index are a dark dream pop duo from New Zealand who have also been based in Melbourne, London and more. Their debut album In All That Drifts from Summit Down, which features Gemma from Savages playing guitar on several songs, comes out April 29 via Sargent House (pre-order). We already posted the single “No Paths,” and we’re now premiering another track from the album, “Summit Down,” along with its video (directed by Teodora Castelluci). Like “No Paths,” it kind of sounds like a more brooding Mazzy Star. It’s also got some nice melancholic strings. The video has slow-moving footage of black-and-grey images, which suits the song well. Check it out below. As mentioned, the duo will be touring with Chelsea Wolfe later this year. The tour hits NYC on May 8 at MHOW and May 9 at Bowery Ballroom. Tickets are still available. During a Skype call with Adam and Sam Sherry, the two brothers that make up New Zealand duo A Dead Forest Index, the sound of a squawking bird echoes in the distance. The two brothers are outside of a pub in Leipzig, where they recently moved after living in Melbourne and London (and before that, their home city of Auckland), and aside from their surprisingly loud, avian companion, it’s eerily quiet. The scene, in a sense, is metaphorical of the band’s art—sparse, minimal, and unsettling in the most fascinating ways. On April 29, A Dead Forest Index will release their debut album, In All That Drifts From Summit Down, via Sargent House. It’s an album built on minimal arrangements, sometimes little more than guitar, voice and a simple beat. But within those relatively stripped-down arrangements, there’s a whole expanse of sound and emotion, sometimes accessible, as on “Tide Walks,” and in other places chillingly dark, as on “Ringing Sidereal.” It’s not surprising that the company they keep is similarly invested in such dark aesthetics: The album features appearances by Savages guitarist Gemma Thompson, and this spring the band is touring with Chelsea Wolfe. Treble spoke to the Sherry brothers about their travels across the globe, their new album and the influence of the natural world on their music. Treble: When did you start playing music together? Adam Sherry: Maybe probably together since about 2010, or late 2009. I started this as a solo project and I moved to Melbourne, and Sam kind of followed about a year later. Once we were in the same city again, we started playing together more as a band. So things started to progress around 2010. We’ve played in a lot of different bands in Auckland, when we were growing up. A lot of friends’ projects. But this was the first time where we really seriously collaborated. To read the entire interview, read more below or click HERE. 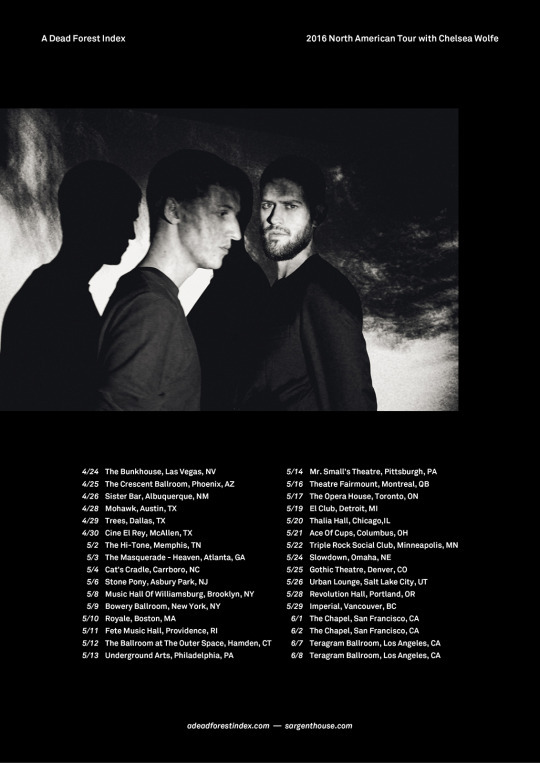 A Dead Forest Index will be on tour with Chelsea Wolfe starting April 24th and their upcoming album In All That Drifts From Summit Down is to be released on April 29th via Sargent House. See all dates below, and for all ticket/show details click HERE. Did you have a particular blueprint in mind when you began writing All That Drifts From Summit Down? Sam Sherry: It all revolved around moving to a new place, Melbourne. We had this vision to work and perform music. But it was kind of… revolved around influences from a few sole sources. One of them was Scott Walker’s album The Drift. At the time we thought it was one of the darkest, heaviest things we’d ever heard. We wanted to sort of be as loud as we could with really sparse instrumentation, but it was very much about the voice. AS: It was a mix of influences, but it was really about being direct and straight to the point. Really sparse. Conceptually, is there a unifying thread that ties these songs together? AS: Things slowly evolved from the time we started playing and this record. It’s kind of a summary of the layers collected over the years. It’s kind of a culmination we’ve worked on so far. So it’s kind of a reflection of that. SS: It’s a travel narrative, in a way, for us. Everything we’ve been through is summarized through the album title. SS: Something really vivid and colorful. But yeah, I mean, like Adam’s whole structure of writing harmonies and sort of… everything is centered around the voice. And I guess we have a similar way of fleshing out the music, but it always turns out to be this colorful, very vocal kind of thing. AS: It’s a funny thing, influence wise. We grew up listening to a lot of medieval music and choral music and classical music. And then bands like Nirvana and other influences. So yeah, I don’t know how to describe it. But the voice is something central to the record. You’ve since moved to Leipzig from Melbourne—what brought about the move? SS: It was interesting. We came across this amazing town, Leipzig, on our travels. And we were really impressed by the place and it’s atmosphere. We were living in London for the last year. As a lot of people know it’s a very tough place for musicians and artists. We felt really ready to leave and set off on some adventure somewhere else. It’s still very new to us. AS: We’ve only been here about a month. We have some friends here. But everything here flows a little more easily than in London. We’ve always very much loved London and it’s like a second home, but it’s also a very corporate city and a very hard city. Everyone I know has left or is leaving London. Unless you’re making very good money, it’s kind of impossible now. Images of the natural world seem to come up a lot in your music: “Tide Walks,” “In Grayness of the Water,” “Upon Dark Hills.” What inspired this kind of imagery? AS: Growing up in New Zealand, that’s your world. We grew up in the north of Auckland, right on the coastline, and it’s a beautiful country. Auckland is dominated by a volcano ring, so the natural world is very present. We’ve lived in London, and Melbourne and now Lepizig, so you have all those elements, but living in New Zealand it’s very much a part of your life and your subconscious, so it seeps into what we do. That source of life just flows into your work. Nomadic duoA Dead Forest Index was originally the solo project of Adam Sherry; starting off in 2008 he then began collaborating with his brother Sam to form A Dead Forest Index. There’s a grand, sweeping momentum to their music: they craft songs that are incredibly intimate and stark to the point that they become quite unsettling. They cite influences as far-ranging as Romanian lăutri troupe Taraf de Haidouks to music of Indian and Andalusian origin, and most recently teamed up with Gemma Thompson of Savages for their latest track “Myth Retraced”, which we’re premiering here on The Independent. We've been listening to the new Arvo Pärt release 'Musica Selecta' which is a beautiful collection recordings chosen by ECM producer Manfred Eicher. Gustav Mahler's Symphony No. 9, and Antony Hegarty's collaboration with J Ralph 'Manta Ray' on repeat. 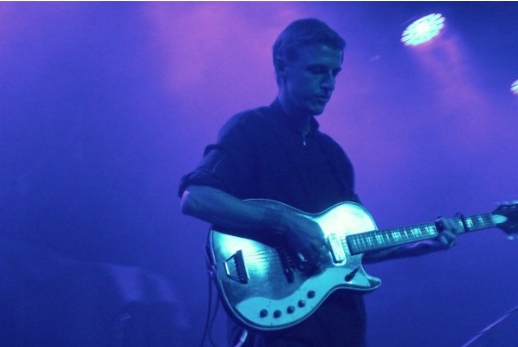 'Myth Retraced’ is a stunning track – very stark – did anything in particular inspire it? For us the lyrical setting on one side is about constant travel, a kind of perpetual state of moving. On another side it touches upon a modern disconnect of mythology and meaning, and our relationship to that, especially inspired by the paintings of Cy Twombly, Mark Rothko and Anselm Kiefer. The first gig we ever played was an EP launch at the Tote in Melbourne in 2010. We had just re-located (to Melbourne from London) and formed the basis of our band in what was a completely new city for us. The thing I remember most is blasting Nusrat Fateh Ali Khan between sets, which we still love to do. A highlight performance for us would be for last years Station to Station Festival at the Barbican Centre. We composed a new work with Savages titled 'In What I'm Seeing The Sun' and performed this together in the special setting of the Barbican's gallery space, with dancer/choreographer Fernanda Munoz-Newsome. The event was structured with four performances across 2 nights, and was a very memorable and immersive experience. 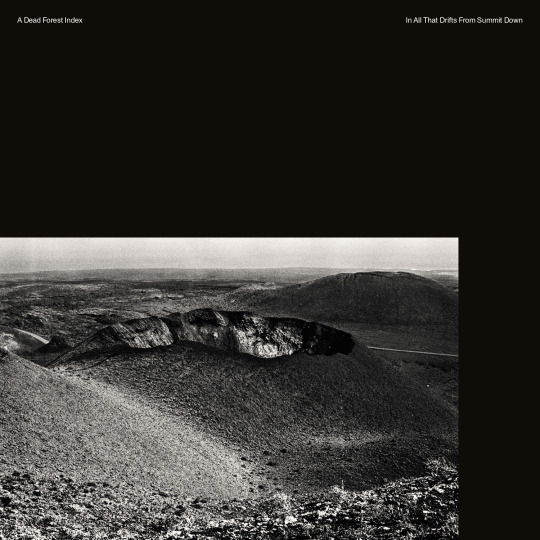 A Dead Forest Index's album All That Drifts From Summit Down is out 29 April 2016 on Sargent House.